You know that certain students typically demonstrate exemplary behavior, while others frequently act out and misbehave, but how can you easily quantify and record this? In this webinar, we will show you how to easily document and improve student behavior with a free web tool that lets you engage your students by awarding and recording real-time feedback. 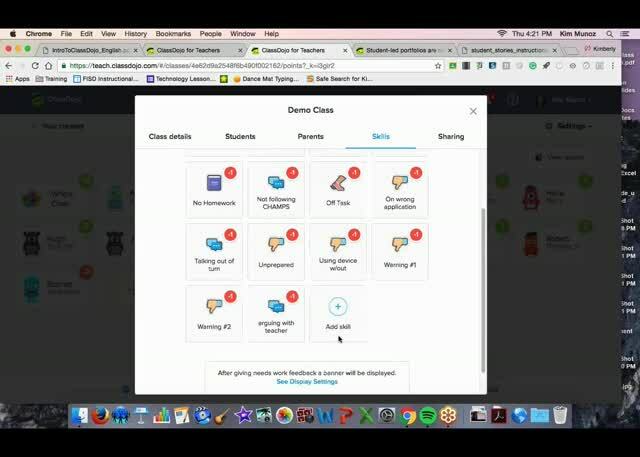 We'll cover how you can use Class Dojo to print or email behavior reports to parents or staff to help keep your students on track. You'll also learn how to sign up for an account, set up your classes, and customize the types of points you want to award or take away for student behavior. Finally - behavior management made easy. Sharing classroom story is great and the fact that the parent can only see their child's rating. Nice step by step tutorial! Something I am considering in my classroom. Any positive feedback to a student and especially parents is very important! I teach high school special education classes. I think this may work in my classes. This webinar was very informative. I've always been interested in Class Dojo but didn't feel I had enough information. Now I feel secure in trying it. 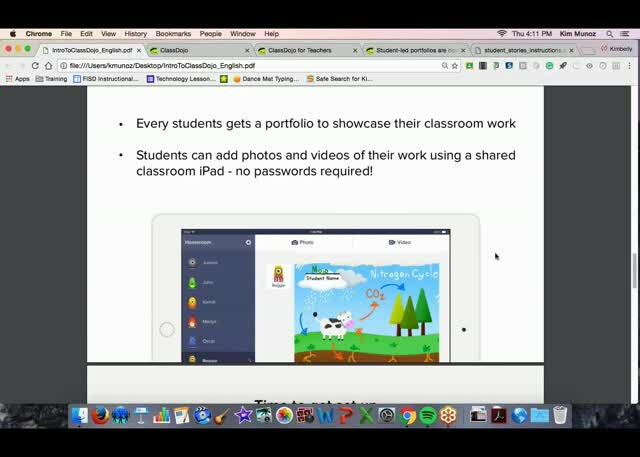 Very helpful, I am interested in the SEESAW app and will check that out. 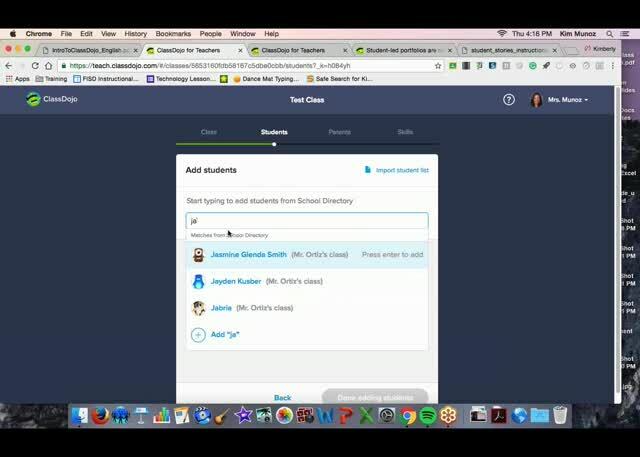 I use dojo every year as a communication tool and is very helpful to parents as well. I thoroughly enjoyed another webinar from Kim. She is very clear and her knowledge base is extensive. 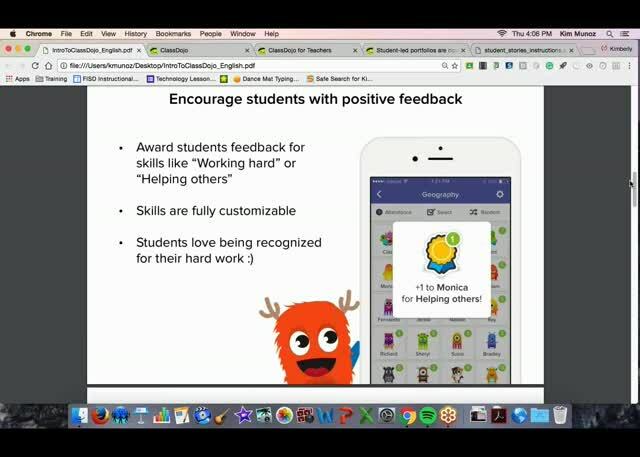 Great presentation on Class Dojo! I agree this presentation was very well-organized with every tool needed to get started.